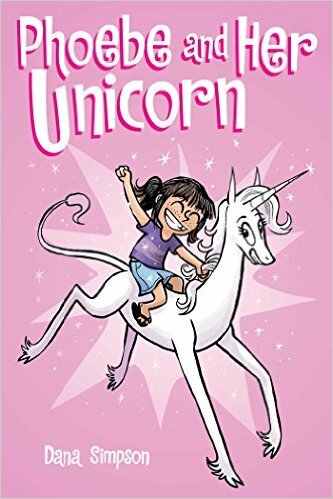 A super cute graphic novel about a little girl who accidentally finds a unicorn. The unicorn grants her a wish and so Phoebe asks for the unicorn, whose name is awesomely Marigold Heavenly Nostrils, to be her best friend. Marigold does this and is able to travel about with Phoebe because she casts a Shield of Boringness over herself so no one thinks it’s particularly weird or interesting to see a real unicorn. Really fun, lots of girl power, and enough humor to keep adults amused as well. I loved this one.